The view from a commercial jet coming in for a landing at Lihu‘e Airport is enough to make most people want more. That’s why so many Kaua‘i visitors book FLIGHT-SEEING TOURS. For a slow-paced, affordable tour, try a FIXED-WING AIRCRAFT. These planes come equipped with oversized windows and doors for good views of the landscape. Because these small aircraft seat between three to six passengers, tours tend to be both personal and comfortable. AIRTOUR KAUAI started out as a skydiving outfit, but soon branched out to offering scenic tours—and it’s no wonder: The Garden Isle offers up some of the best aerial views in the state. The company is also the only one to fly out of Port Allen, which allows guests 30 percent more time on the actual air tour. 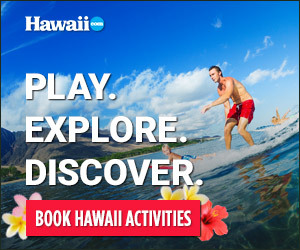 See it all on the Deluxe Island Tour, which includes views of Salt Pond Beach, Waimea Canyon, Hanalei Bay, Hanalei River Valley, Opaeka‘a Falls, Wailua Falls and the spectacular Napali Coast.